There exist a wide array of reasons why non-senior adults might require long-term medical care, and a majority of them are in some sense chronic conditions. Birth defects. Autoimmune disorders. Mental illness. Traumatic injuries. Even a list of general categories could be quite extensive. But they tend to have two things in common in addition to their chronic nature: Residence in a long-term care facility may not be practical for treatment and do not diminish the desire to live an active, healthy life. Staying home, whether on their own or with family members, is often the best solution for people with chronic conditions, both in terms of cost and of patient health outcomes. Almost half of American adults have some sort of chronic condition, and those can begin to stack up as people age. Currently, chronic illnesses account for roughly 75% of all physician visits, 80% of all hospital admissions, and 90% of all prescriptions. Those with chronic conditions make up the majority of the 71% of visits to emergency departments (EDs) that are either unnecessary or preventable. Indeed, in just one area of chronic care, telehealth has reduced unnecessary admissions by 20% and that number is growing. That is, with proper care at home, most of these people could stay there longer and have better quality of life when they do so, all while avoiding preventable visits to EDs. 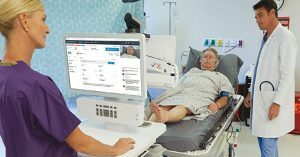 For many, telehealth can make remaining at home a viable option at a reasonable cost. 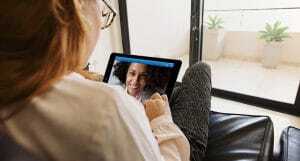 A significant component of telehealth making home care possible for patients with chronic conditions is that it eases communication between patients and caregivers. A metareview of over 1,200 studies on this topic showed that telehealth almost invariably facilitated accurate communication between all concerned parties, and thus contributed to better patient health outcomes. One related effect was that, with accurate and timely communication, patients were more likely to adhere to their treatment regimens, resulting in fewer visits both to their primary care physicians and EDs. This means that patients engaged in therapies more often and took their medications properly. While this increased pharmaceutical expenses, it lowered costs of care elsewhere that more than cancelled out the cost of drugs, again while improving the patient’s overall health. These other lowered costs mostly came from avoiding those unnecessary or preventable ED visits and hospitalizations. This, again, contributed to the patient’s ability to stay at home for a longer period of time, living their life as they wanted, with optimal health outcomes in both physical and mental health. It all ties together and works in a positive feedback loop, each stage building on the one before it. 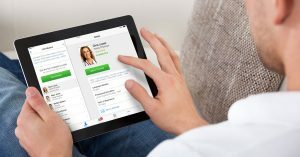 Staying at home with telehealth costs less and improves patient health outcomes. These tools have already been proven effective for senior citizens. It is high time we do so for other adults with chronic conditions.